Welcome to Succeed Heirlooms, we are an Australian owned and operated mail-order seed business (ABN: 75708533994) located in Brisbane QLD. We sell quality, old-fashioned, open-pollinated heirloom vegetable seed varieties. Here at Succeed Heirlooms we believe the range of heirloom homegrown vegetable varieties not only taste better than supermarket produce, but also provide more variety and nutrition in our diets. Food security is important to us, we want to help everyone grow better vegetables and try to provide detailed growing tips on our website to this end. What Makes Succeed Heirlooms a Great Online Seed Shop? Succeed Heirlooms offers a range of quality, open-pollinated heirloom vegetable varieties which grow true to type from collected seed, allowing growers to collect and save the seed from one year to the next. We are always on the look-out for new and exciting varieties to offer in our online seed catalogue. While heirloom vegetable seeds are the main focus, Succeed Heirlooms also offers a smaller range of herb seed, beneficial flower seed and live plants of varieties difficult to grow from seed. Everything currently for sale is listed in the online catalogue and is sorted into categories for ease of use. Our product pages contain detailed propagation and cultivation notes to help you grow each variety successfully and obtain a bumper harvest, we try to grow each variety we offer and will be adding new tips to the site as time goes on. To cut down on paper we don't send these notes with the seed but you are free to print a copy for yourself if you wish. Succeed Heirlooms packages its seeds in re-sealing zip lock pouches for ease of use, no more seed spillage from loose open packets. For convenience all seed packets are labeled with the name of the variety, as well as brief details on when to sow, sowing depth, plant spacing, aspect, time to germination and time to harvest or flowering. Our seeds haven't been treated with potent chemicals to control pests and pathogens. Some varieties are untreated while others that are prone to pests have been treated with a small amount of organic Diatomaceous Earth. Diatomaceous Earth is a fine powder made from the remains of fossilized algae. The particles, while not abrasive to human skin, cause cuts to the exo-skeleton of insect pests, drying them out and killing them. Diatomaceous Earth may also have anti-fungal properties. It should be noted however that none of our seed are of food grade and the seed of some varieties are even naturally toxic so should not be eaten or fed to animals, keep all seed out of reach of small children or pets which may swallow them. We are passionate about environment concerns. 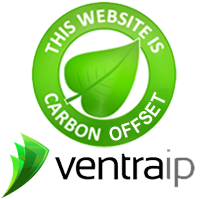 Succeed Heirlooms is caring for the natural environment by minimising excess packaging, using recycled products where available and by running a carbon offset website by purchasing credits through VentraIP, our web host. We find these measures to provide a means of operating a more eco-conscious business while still allowing us to keep prices low. All seed orders will be posted promptly to you in a bubble-padded mailer via Australia Post at a flat rate of A$2.50, no matter how many packets you order. Orders containing live plants will be charged $8 postage total as these will need to be sent at a parcel rate. Only PayPal is accepted for payments at this point in time. If you have a PayPal account you can set it up to withdraw funds directly from your bank account or use a credit or debit card. Even if you don't have a PayPal account you can still pay using a credit or debit card through the PayPal checkout process. GST is not charged as Succeed Heirlooms has an annual GST turnover <$75,000 and is not required to be registered for GST.